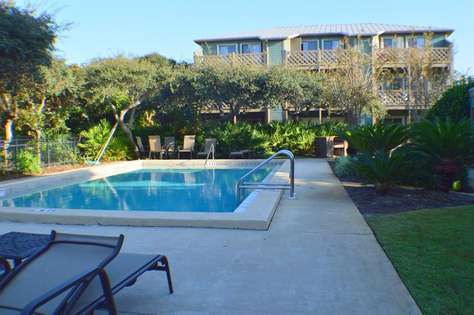 Located in The Village of South Walton in Seacrest right in the middle of 30A and just a short walk to the world famous sandy beaches (less than half a mile) as well as a Tram that can shuttle you to and from, "Crows Nest 412" is a unit that beckons you to sit back and relax. Beautiful Highway 30-A will draw you in by the laid back pace and lavish nature. You will find unique gifts in the quaint shops, gourmet meals from sushi and seafood to Tex-Mex and Italian. All along 30-A, there is a wide variety of shopping, dining, golf, water activities, live concerts, live theatre, festivals, the list goes on! Whether you are looking for a place for your family or an adults-only get away, everything you need is in Crows Nest 412. Everyone is welcome of course! but, the responsible party booking this reservation must be 25 years of age or older and remain present throughout the entire stay. 'It is a generous 1326 square feet. This mesmerizing unit includes three bedrooms, two baths, kitchen, balcony, and large living and dining area with all the conveniences of home and the comforts of a cottage. Luxury materials continue throughout the condo with updated granite countertops in the kitchen, stainless steel appliances, spacious bedrooms, bathrooms and there are TVs in every room. The luxury master suite includes a spacious bedroom with beautiful views of the ocean, a private entry to the balcony, a king size bed, TV/DVD, and ample closet space. The large master bath has a double sink, over-sized shower, and a jetted jacuzzi tub. Everything is decorated with an upscale beachy theme so you feel like you are right on the beach! The fabulous kitchen is ready for you whether you eat out or want to prepare a family meal. It includes granite countertops, stainless steel appliances and a large pantry. 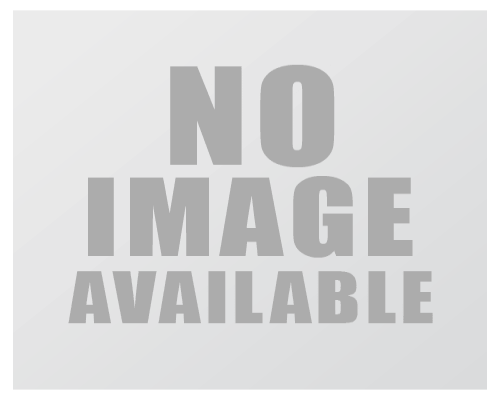 It is fully supplied with cooking utensils, pots, pans, knives, and small appliances. There is also a washer and dryer in the unit for your convenience. The living and dining area is beautifully designed for comfort and enjoyment. There is a table for six as well as four stools at the bar. The living area includes two stylish yet comfortable lounge chairs and a sofa for you to "watch the big game" or simply sit back and relax. There is also an entertainment center with a nice flatscreen TV. The large windows and French doors fill the room with light and the view of the gulf is spectacular at sunrise or sunset. On the beautiful balcony there is a incredible view of the gulf and Inlet Beach. The balcony is perfect for evening dinner or just to sit and enjoy a breathtaking sunset. There is a queen-size bed in the second bedroom but, there is still plenty of space! The third bedroom has a bunk bed with a full on the bottom and a twin on top. Each room has TVs, and a nice sized closet. The second bathroom provides plenty of space and is conveniently connected to the second bedroom. Don't feel like driving? There are several restaurants within walking distance including the open huts with shops and restaurants. As well as a tram that can take you to and from the beach or other activities! While there are 2 pools on the property, the Vilages are allowed access to the one community pool that is only a quick walk away from this unit. The white sand and emerald waters await you. The Villages of South Walton are sure to please! Beachy-Cations is a luxury vacation rental management company. We are apart of the infamous Beachy Beach Real Estate founded in 2006. We are well known for our personalized professional service that responds to YOUR specific needs. Our goal is to make every stay relaxing and effortless. we have made it our personal goal for you to love your home away from home! Our friendly staff will be available for you whenever you have questions or concerns. Trust Beachy-Cations with your next visit, and learn what that “Beachy” state of mind is all about! Gorgeous updated 1 bedroom condo near Rosemary Beach. This charming newly updated private corner unit on the first floor is nestled among live oaks, palmettos and natural coastal vegetation. Ideal for families and perfect for honeymooners, this unit features a queen in the bedroom, sleeper sofa in living room, and a bunk bed. Inlet Dunes is gated and parking is just outside your door, allowing for only 1 vehicle for this condo. As you enter the condo you will experience what has been described as casual elegance. The soft hues and comfortable furnishings give you a sense of relaxation. A quiet retreat where you can listen to the surf while relaxing on the patio! Close to the pool with easy access to beach via a boardwalk over the protected dunes, there's nothing between you and the emerald waters but white sand beaches! Located perfectly between the 30A and Panama City beaches with convenient access to quaint shops and fine restaurants in Panama City, Rosemary Beach, Watercolors, Seaside, Sandestin and Destin. The famous Camp Creek Golf Course is just minutes away and Inlet Dunes is 25 minutes from the Santa Rosa Golf Course. Silver Sands Factory Outlets, Sandestin's 'Baytown Wharf' and 'Shell Island' are a MUST DO! Northwest Florida Beaches International Airport (ECP) is approximately 30 minutes. Totally renovated, this gulf view condo will be a family favorite. Open concept living/dining/kitchen is open to balcony with outside seating comforts. All new furnishings, feel sophisticated, whilecolorful furniture allows for the natural Florida green vegetation colors and range of blue hues from the Gulf to the sky. New King bedroom furniture, mattress, and bedding in this one bedroom second floor condo offers relaxation from the day of sand, fun and sun. A 42" flat screen TV is connected to cable, and you will be asleep before that next commercial. Don't stay all day in this spa like bathroom, with all tile tub / shower, a rain head shower above. Lots of towel bars and hooks. These built-in bunks, have enough room for an adult. Family time is essential when gathered around this round dining table with 4 chairs. Great for sharing your memories of the day, a game night, cards, or a puzzle. With this open concept living space of the living / dining / kitchen, conversation is not to be missed out on. Great kitchen to cook, or warm up left-overs and take out. A TV is mounted on the wall in the great room, so not a moment of your favorite shows are missed. Out on the balcony, are two bistro height chairs with footrest, a table for those cold beverages, to catch the varied colorful sunsets each day, or for star gazing overnight. We are so excited about the renovation inside the condo, that you may have forgotten about the community pool we have, with picnic tables and a grilling area just steps away from the front door. We are a small gated complex, with no waiting for elevators, but once here in this quiet, tucked away inlet, the rest of the world seems to fade away. Totally renovated, this gulf view condo will be a family favorite. Open concept living/dining/kitchen is open to balcony with outside seating comforts. All new furnishings, feel sophisticated, while colorful furniture allows for the natural Florida green vegetation colors and range of blue hues from the Gulf to the sky. The bedroom features a queen sized bed, in this one bedroom, second floor condo offers relaxation from the day of sand, fun and sun. A flat screen TV is connected to cable, and you will be asleep before that next commercial. Don't stay all day in this spa like bathroom, with all tile tub / shower, a rain head shower above. Lots of towel bars and hooks. These built-in bunks, have enough room for an adult. Family time is essential when gathered around this round dining table with 4 chairs. Great for sharing your memories of the day, a game night, cards, or a puzzle. With this open concept living space of the living / dining / kitchen, conversation is not to be missed out on. Great kitchen to cook, or warm up left-overs and take out. A TV can be found in the great room, along with a sleeper sofa, so not a moment of your favorite shows are missed and sleeping arrangements can be made for everyone. The balcony, facing the ocean, is perfect for entertaining with a table and chairs for those cold beverages, to catch the varied colorful sunsets each day, or for star gazing overnight. Not your typical professionally decorated rental, but yet a unit decorated in charm with a historical background; this rental property features furniture dating back to the late 1800's from the family home and law office of the owner's Grandfather & Father. The dining area banquet cleverly transformed from the footboard from the Grandmother's bed and the bottom of her dresser. The marble top drawers of the dresser became nightstands in the bedroom. Unique dining table made from drying strips for tobacco leaves, a treasured gift from an Inlet Beach neighbor. Everything here has a story, even the doorknob on the glass shower door is from the Grandmother's house. If you like history you'll love the ambiance of this unit inspired by the story of the Grand Mermaid of Inlet Beach, which was first photographed at Inlet Beach in 1951. There's even a street named after her 1 block away. This very quaint one bedroom/one bathroom condo near Rosemary Beach, with such a personal touch, will make you want to stay in this condo again and again. This unit features a queen in the bedroom, sleeper sofa in living room, and a bottom bunk bed in the entrance hallway. There are many extras that you will find in this treasured unit including: a wine chiller mounted in the wall of the kitchen for wine or bottled drinks, an in-wall mounted coffee maker with a dedicated hot water line and filter, USB outlets in the outlet plugs next to the bed and in the bunk area, a TV mounted on the wall of the hallway bunk, and so many little things that we will be in awe during your entire vacation. Inlet Dunes is gated and parking is just outside your door, allowing for only 1 vehicle for this condo. As you enter the condo you will experience all that has been described to you . The soft hues and comfortable furnishings give you a sense of relaxation. The hallway is lighted by stars; Moravian Stars. At the end of the hallway is a door to separate you from the late sleepers of the bedroom and bunk bed, so you can enjoy the rest of the space or cook breakfast. A quiet retreat can also be found where you can listen to the surf while relaxing on the patio! Close to the pool with easy access to beach via a boardwalk over the protected dunes, there's nothing between you and the emerald waters but white sand beaches! Starting 2019 Walton County offers year-round life guard services. Located perfectly between the 30A and Panama City beaches with convenient access to quaint shops and fine restaurants in Panama City, Rosemary Beach, Watercolors, Seaside, Sandestin and Destin. The famous Camp Creek Golf Course is just minutes away and Inlet Dunes is 25 minutes from the Santa Rosa Golf Course. Silver Sands Factory Outlets, Sandestin's 'Baytown Wharf' and 'Shell Island' are a MUST DO! 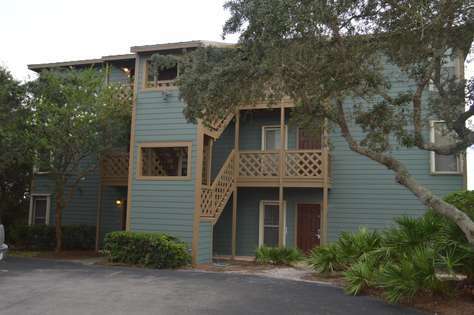 Small gated complex nestled in the oaks at Inlet Beach since 1986, with only two 3 story buildings. Features nice pool and seating area for a glass of wine, picnic or dinner and an outdoor grill if you feel like dining in. The owner has designed & provides shell bags for all the treasures that wash up on the beach. Forgot your flip flops, there are extras at the front door for stress free enjoyment. The owner is a supporter of local businesses and provides recommendations for dining, shopping and play while you're at Inlet Dunes. Not your typical professionally decorated rental, but yet a unit decorated in charm with a historical background; this rental property features furniture dating back to the late 1800's from the family home and law office of the owner's Grandfather & Father. If you like history you'll love the ambiance of this unit inspired by the story of the Grand Mermaid of Inlet Beach, which was first photographed at Inlet Beach in 1951. There's even a street named after her 1 block away. This very quaint studio/efficiency condo near Rosemary Beach, with such a personal touch, will make you want to stay here again and again. It is situated on the ground floor, a great end unit, with a patio that steps out to the community pool. With only being 300 steps from the sugar white sand of the emerald coast, you can spend long hours at the beach and let the surf take you away! There are no elevators at Inlet Sands but no worries, because this is a much sought after ground floor unit. You're on vacation, so keep it stress free and simple, with the convenience of no steps to climb with luggage and groceries. No struggle going down stairs with beach chairs and coolers. Simply walk out to the Gulf in seconds; you can be out your door with a glass of wine and on the beach to witness unforgettable sunsets in a seconds notice. This charming updated unit on the first floor has many upgrades including natural stone countertops, custom designed glass bar, wine chiller, built-in water-connected coffeemaker, and towel warmer. Ideal for couples and perfect for honeymooners. This unit features a queen sized bed and a bunk bed. We will find USB outlets in the outlet plugs next to the bed and in the bunk area, a TV mounted on the wall of the hallway bunk, and so many little things that you will be in awe during your entire vacation. As you enter the condo you will experience all that has been described to you . It has been personally decorated by the owner with unique Florida touches. The family was part of the Florida legislature from 1917 and 1949, so you will find many small details to contribute to the era of these times including a 1920 Jantzen wool bathing suit, framed automobile tags from the 50's, and a custom designed shower curtain made from a Florida souvenir tablecloth. This unit will give you just enough of the old Florida feel mixed with the modern Florida changes.